linux | brian habbe | life ..
Just before the latest version of Fedora (Verne) was released I was installing the beta on a laptop to take it for a spin. I’d been using LoveLock since beta and Gnome3 suited me well. There has been a lot of talk about it and the lack of customizable options for power users but that must not be me. For a week now Verne has not disappointed and I expect that to continue. Here’s a pic of my desktop. What I like most is the clean simple look and integration of the windows key to find applications and recent documents. I’ve never been a “put a shortcut on the desktop” kind of guy, to much clutter. So having nothing there is great and I don’t need/want to add anything. The online accounts integration is nice, the notification tray is there but not in the way and using Ctrl-Alt-UpArrow/DwnArrow to move between screens (vs Ctrl-Alt-Right/Left) is just fine too. Another pic with apps open. Can’t wait to see what’s coming next! On May 25, 2011 FedEx delivered a new laptop, a HP ProBook 4430s. This is it’s my first purchase where Windows is not the OS from the manufacture. The last few years I’ve used a couple used IBM T42’s which are excellent machines, and the keyboard will spoil you. When it came time to find a replacement I wanted something that didn’t come with Windows, as I wouldn’t be using it, surprisingly the search led me to HP. At the start of 2011 I did the same search and found Dell’s Vostro V13. I read Dell offered it with Ubuntu pre-loaded but was never able to find out how through their on line store. I did purchase one and it is a good package. Every thing worked out of the box with Fedora 15 and Gnome3 but there were two issues for me, the keyboard was too cramped and batter life was low. That was enough to send it off to mom, she needed something to replace the 7 year old Compaq, and I could search from something more suitable. I’ve read good things about Zareason and System76, they both have a good selection and offer Ubuntu. The construction wasn’t what I was looking for and some of the other options out there were ThinkPads or Dells with Linux loaded. I wanted to find something with a metal chassis and not much plastic. To compare would be the construction of a MacBook Pro, but I wasn’t looking for a Mac. 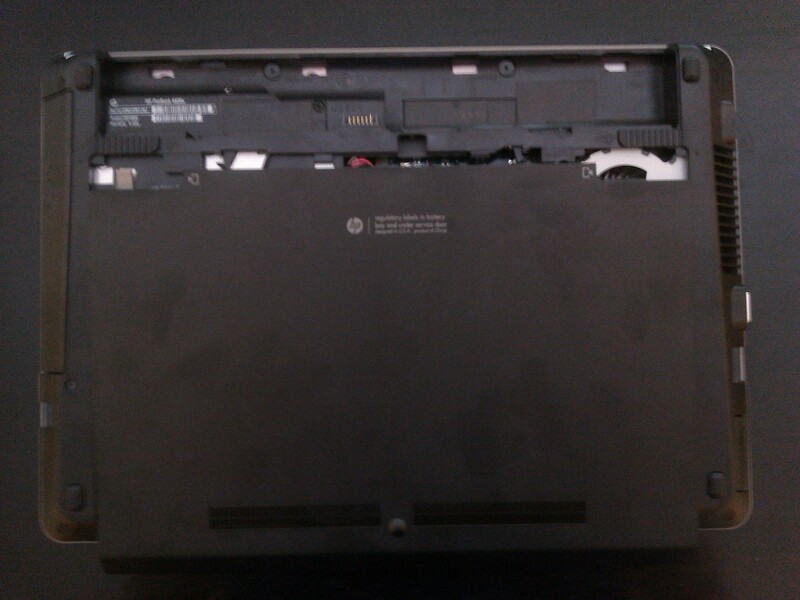 It took a few months until I came across the HP 4430s Notebook. This model, if you configure it, offers Suse Enterprise 11 installed. I haven’t used Suse for a number of years but the “flavor” of Linux wasn’t important. The fact the hardware fit my criteria and was available with Linux installed sealed the deal. On first boot it took awhile as it uses KIWI to install the OEM image. 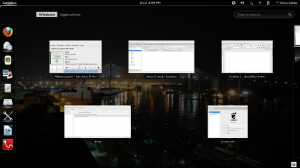 A standard suite of applications is included, Gnome 2.82 as the window manager and all the hardware (wireless, camera, card reader, sound) worked… as one should expect. There are plenty of pics on the web, so I don’t need to put up much here but I will say if you like to “get under the hood” access has never been easier. Memory, drive, processor, etc is just pull the battery and slide the cover back after releasing two holding pins. 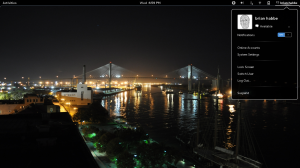 I’m enjoying it so far especially with an Intel SSD and Fedora 15 (Gnome3). I’d recommend the ProBook 4430s if your in the market for something non-Windows, 14′ wide screen, wireless, bluetooth, card reader, and ever thing working. If Suse is not your flavor pick another. I only had to load iwlwifi-6000g2b for wireless, every thing else worked out of the box. It’s great to see mainstream companies offering solutions like this. Thank you HP! Phones have almost become disposable as technology advances at a speed where what you have is replaced in a month or two by “the new thing”. I like new gadgets but these days at $300 to $600 dollars a pop it’s just not economical. So when I opted for a G1 Dev Phone last year I was hoping for something that might be upgradeable and still have that new feel as the software evolves. After the upgrade to 1.6 I was satisfied for a while but then came the next version of Android and that changed things. Better navigation and snappier user interface with screen auto rotation and more. When it didn’t look like there’d be any official version after 1.6 I went looking for a custom ROM, enter cyanogen. I loaded 1.6 just after the first of the year and 2.1 (Eclair) about a month ago, it has been excellent. Checking the site today they have 2.2 (Froyo) available for both the Dream (G1) and the Magic (G2). It’s been two years since the G1 was released and thanks to folks at cyanogen and other communities like xda developers it has the same software as a Nexus One, HTC Incredible or EVO. Open Source, you gotta love it !!! For the last month or so I’ve been using Fedora as it seemed to fit my T42 better than Ubuntu did. But wanting to get back to it I plopped in the drive and fired it up. A decent amount of updates were needed and after getting through those things seemed fine. But then after resuming from suspend I noticed the pop up icon in the notification area was blank. It was almost like the something was up with the resolution or video display of the icon itself. I’m not sure if this was one of those things I thought was a problem when Karmic first came out or not. I did load it pre-release but moved to Fedora shortly thereafter. Finding this to be odd I tried to do a little googling and research, found a few threads that pointed to some of the work the Ubuntu Desktop Experience Team was doing but not much that suggested a solution. The only thing I did come across was talk about video drivers and excelleration. This didn’t really make much sense to me, it has been years since I’ve had to care about the X config file and adjusting it manually. That takes me back to the RedHat 6 days and my Tecra 600. But it did give me a thought. Video in general was not a problem, just the notificaiton icons. So as a guess I checked what was set for Visual Effects. The current setting was None so I changed it to Normal. To test I watched Rhythmbox move to the next song and the icon was normal. Good to know that fixed the problem but interesting it needed to be done. Regardless the polish with Gnome in Karmic is really good. Ubuntu has taken Linux on the desktop where no one else has and with that there will always be little challenges. Wonder where they’ll go from here.